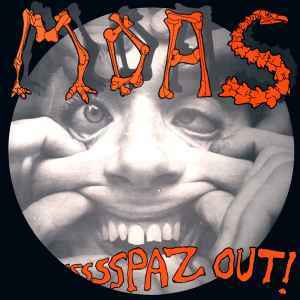 The Moas ‎– Spaz Out! Recorded and mixed at Strawberry Fields Dunedin 1986. Artist listed as "Moas" on front of sleeve, "The Moas" on back of sleeve, spine, and labels. Title listed as "Ssssspaz Out!" on front of sleeve, "Spaz Out!" on spine, and "Spaz Out" on labels.